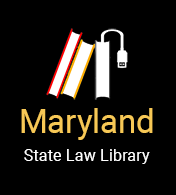 In Maryland, one point is clear: unmarried cohabitants can create express written contracts that are enforceable in a court of law. They can also create express oral contracts to divide personal property, but they are best advised to put into writing any divisions of real property. Couples should consider drawing up a written “living-together contract” to determine in advance the status joint and separate assets and liabilities, duties and obligations, and other factors unique to each situation. This can be done with or without an attorney. However, consulting with an attorney about the consequences of signing and the validity of the contract is advisable. For example, if the non-marital agreement is intended to continue into marriage, an attorney should be consulted to make sure that this intent is expressed clearly in the agreement. Also, each partner should use a separate attorney. procedures for changing the contract, resolving disputes or ending the contract, including mediation. A sample agreement is available from American Jurisprudence Legal Forms 2d Volume 9B § 139 (2012). There are also many other samples available. Please bear in mind that this form is offered only as a sample to suggest the types of provisions that might be included in a contract. Couples can use it either as a source of ideas or as a guide to drafting their own individualized contracts. Any of the provisions can be deleted or other provisions added to address their particular situation. This sample form is not a substitute for personal legal advice, nor is it a standard form that is to be used by all people. In Miller, the plaintiff, Lonnie Miller, sued her former fiancé, Warren Ratner, for the breach of a promise to marry. Ms. Miller claimed that Mr. Ratner broke his promise to marry her and to support her after she had been diagnosed with breast cancer. Strictly interpreting the statute, the court ruled in Mr. Ratner’s favor. However, the Miller court stated that it might entertain a case in which one unmarried cohabitant sued the other for the breach of a promise to provide financial support or palimony. On the other hand, “(n)onmarital partners can certainly be subject to suit for promises made independent of promises to marry so long as those actions are not shams intended to circumvent the actions prohibited by the statute.” Such actions may include breach of contract actions, actions in replevin or detinue to recover personal property, or actions for partitions to deal with real property. Unmarried cohabitants’ rights regarding the ownership of real property are determined by how assets are titled. Partners may choose to own property as joint tenants or tenants in common. Property titled as either a joint tenancy or a tenancy in common is a form of ownership in which two or more persons have an undivided interest in the real property. The principal difference between a joint tenancy and a tenancy in common is that partners holding property as joint tenants have a right of survivorship, whereas partners holding property as tenants in common do not. Thus, in a joint tenancy, when one partner dies, sole ownership of the real property automatically passes to the surviving partner. A tenant in common, on the other hand, can transfer their property interest via a will; or if the tenant in common dies intestate, their real property interest will pass under the statute of descent. Under Maryland law, there is a presumption against joint tenancy. This means that documents, such as deeds, must expressly provide that the real property is to be owned as a joint tenancy for it to be legally recognized as such. Therefore, if purchasing real property with the intent of joint tenant ownership, explicit language indicating that intent is necessary. The deed must indicate ownership “as joint tenants.” In the absence of this language, ownership will be assumed to be a tenancy in common. Learn more about joint ownership of property.